Security is the basic requirement for any human being, whether it is home, workplace or picnic place. When it comes on security at home, we first think about windows and doors. Yes, these are made mainly from glass in Australia. These are the weakest part of any premise. It is the priority to enter the house or building for an intruder. To get protection against this type of intrusion, everyone must invest in it accordingly. 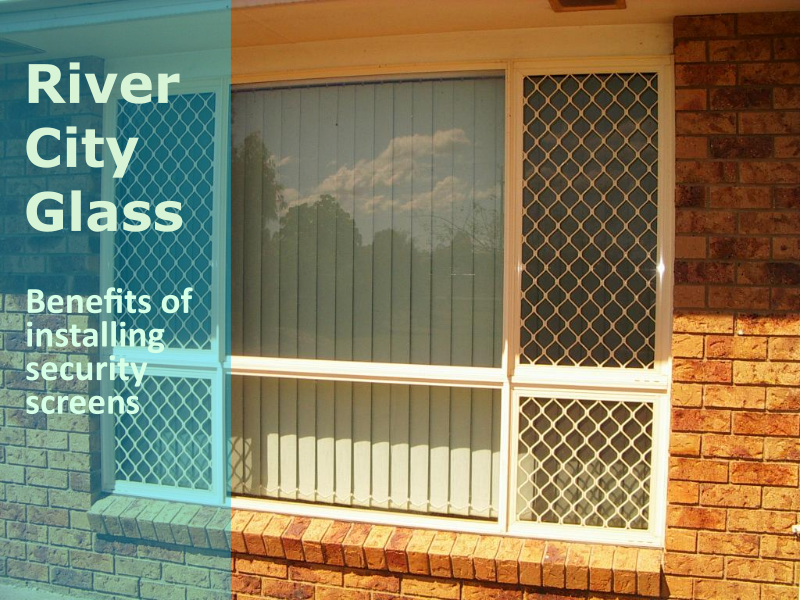 River City Glass tradesmen are expert in installing window security screens in Brisbane. It is the best way to block thieves from entering to your home. Whilst property owners invest in security screen to add one more security layer, it is not the only benefit, here come many more. The first and foremost reason to install security screen is increasing the level of security. It is obvious that these security screen doors are expensive than regular wooden or glass doors. The preferable material is steel – non-removable hinges, strong frame and overall design is manufactured specifically to keep security in mind. To maintain the privacy, property owners are installing security screens from tradesmen. The thickness of mesh protects the inside view from passer byes. It works like two-way mirror. So property owners get clear view of outside without interruption. In warmer months, common insects – dreaded mosquitos specially try to enter in the house. They are making their ways to enter in the property, so it’s not easy to balance between the fresh air enters your home and insects remain outside. But it is possible through security screens installation. People feel fresh after getting natural light. But due to insecurity from high crime rates, it’s harder to keep window or door open without security screens. If security doors are installed, then people can open door and allow natural light in their home without fear of intruders. To improve the ventilation, people fix mesh wired security doors and windows. Fresh air is necessary to remove state air and preventing mould from the environment. If security screens are installed in doors and windows, then at the time of resale, house owners will get good return on investment. It adds kerb appeal to existing architectural design and color scheme. Added security screen at your door and window, increase the comfort, beauty and convenience of an exterior. It adds style and color to the front look of your home. Custom and Stylise security screen creates a big impression on first visit of your family members and relatives. Don’t become a victim of theft and make your home secure by calling trusted security screen provider in Capalaba, Brisbane. Minimize the risk of robbery and stay safe. Find the suitable and custom security screen doors and window, which is the best fit for your resident, building, thematic shop, etc. Call River City Glass and our tradesman give you detail according to your need for security screen.